In December 2016, we welcomed Tonya Sulrzycki as our new firm administrator and certified paralegal. Tonya brings years legal expertise, attention to detail and a sparkling personality to the Firm. 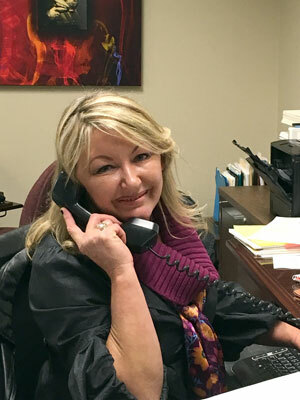 You may not notice her organizational skills and ready smile by the emails or telephone messages you get, but know that Tonya knows how to get things done and is eager to help. Feel free to reach out to her if you have any questions.